Bottleneck Gallery will be unleashing this fantabulous image of “Princess Diana of Themyscira” by U.S.-based Alice X. Zhang on September 19th @ 12PM ET on bottleneckgallery.com. 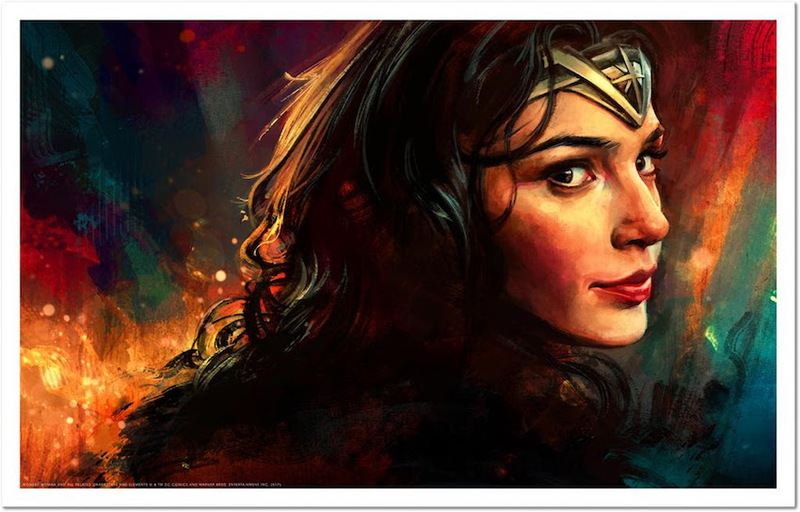 PRESS: "Officially licensed by Warner Bros. Consumer Products, Alice’s newest print features Gal Gadot’s positively powerful portrayal of Wonder Woman from her Summer blockbuster solo film. Alice’s art is all about capturing characters in the moment, and we love the calm confidence Diana gives off in this piece."